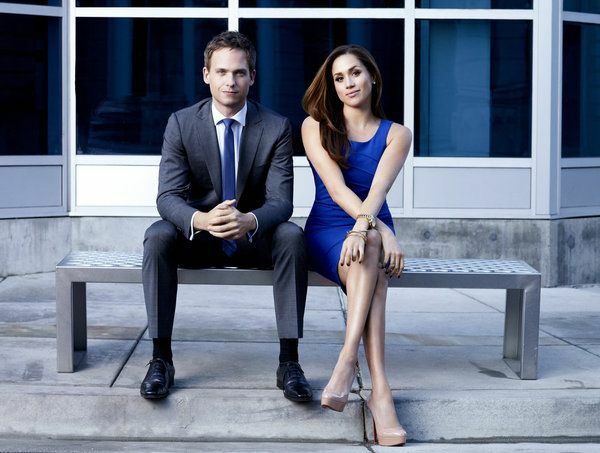 Suits Season 3 Review: Is it Any Good? Hey guys, I am back and this time I am going to be talking about the TV show Suits that airs on the USA network in America and on Dave here in the UK. As many readers here know, I have a big issue when a good TV series hits its third season. I don't know why. Maybe the magic of a series has dispersed. The problems could be from bad plot points, bad writing, introducing awful new characters (cough...Walking Dead...Falling Skies...cough). Mike Ross is a college dropout. With his amazing intelligence and photographic memory, he makes a living taking exams for others. To make extra money that he needs to keep his grandmother in a private nursing home, Mike agrees to deliver a case of marijuana for his best friend Trevor. 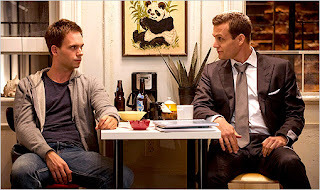 When Mike goes to deliver the package, he discovers that the drug delivery is a sting operation and bails, ending up sitting for an interview with Harvey. Harvey is impressed with Mike's quick wit and knowledge of law, so he hires him. Harvey Reginald Specter is a senior partner who graduated 5th in his Harvard Law School class and is New York City's best closer. He is promoted to senior partner in the pilot episode and serves as Mike's seemingly selfish and uncaring mentor who you see slowly care for his people that works under him. He is formerly an Assistant District Attorney in the Manhattan DA's office and is also my favourite character in the entire series. Season 3 starts off with Harvey and Mike being at logger heads due to the fact Mike went behind his back at the end of season 2 even though Mike was being blackmailed by Jessica Pearson. Mike confides in Rachel, who now knows his secret, and the two form a relationship. It's about time, too (cheeky smile). I was waiting for this to happen since season one when they were teasing it. Anywho, in episode 3, Harvey forgives Mike and tells him he wants to get his name on the door and attack Jessica. I think this a such a good idea, cause if I could choose anyone to go out of the show it's Jessica. However, the show needs her bossy sneaky character to keep Harvey on his toes, so I think this will blow up in his face. In a nutshell, season 3 is just as good if not better than the previous one and it proves that when something is done right, it's done right, but nothing ever beats the first season of a show. This is also going to be like my Falling Skies series, where after every 3 episodes I will write a review on how the story progression is coming along, what I would like to see changed and where I think the shows direction is going. If it's anything like the last three episodes, the direction it's going is definitely up.